Lincoln Center is located between West 62nd and 65th Streets and Columbus and Amsterdam Avenues. Frederick P. Rose Hall venues are in the Time Warner Center, located at Broadway and 60th Street. Frederick P Rose Hall subway: ​A, B, C, D, or 1 to 59th Street/Columbus Circle. Parking: There is street parking available around Lincoln Center. Pay attention to parking regulations and bring quarters to feed the meter if you park at a metered spot. 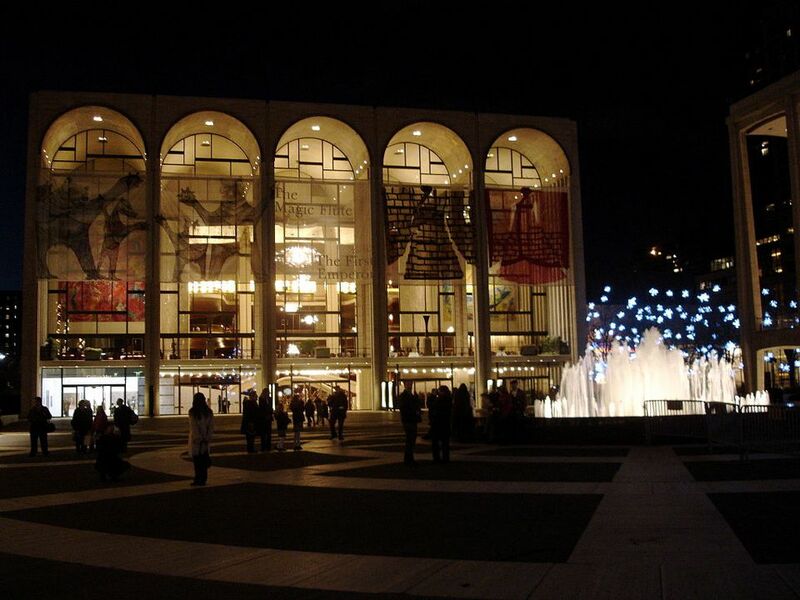 Want to learn more about Lincoln Center? Lincoln Center offers daily guided tours for individuals and groups of the main Lincoln Center Complex and Jazz at Lincoln Center. These tours offer visitors a chance to see behind the scenes at select venues and learn more about the art, architecture, and performances at Lincoln Center. Upon request, tours are available in French, Italian, Japanese, German, and Spanish, as well as American Sign Language. Visitors to Lincoln Center have a variety of different dining options nearby. Reservations are highly-recommended for pre-theater dining at Lincoln Center and in the surrounding area. There are options to eat right at Lincoln Center, including fine-dining at Lincoln and The Grand Tier, as well as casual options like 'witchcraft. Close by, there are many different restaurant options. Some highlights include Bar Boulud, Ed's Chowder House, P.J. Clarke's (burgers), and Telepan.